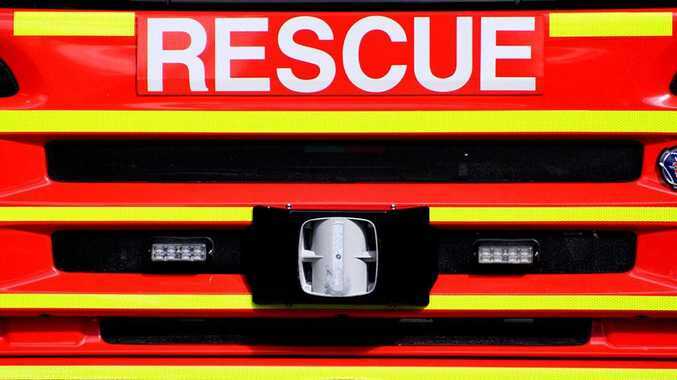 UPDATE: A QFES media spokeswoman has confirmed there was a fire in the second unit of a block of flats at Tin Can Bay. She said two crews attended the blaze which was reported at around 2.45pm, one from Tin Can Bay and the second from Rainbow Beach. A third crew was also dispatched from Gympie but they were not required. The fire is reported as extinguished and QPS officers are currently on scene helping QFES officers establish the cause. QFES were not able to comment on the severity of the fire or its location within the unit, which was one of four in the apartment block on Toolara Rd, but she did confirm there were no reported injuries to any of the occupants. TWO QFES units are currently on the scene of a suspected fire at a block of flats in Tin Can Bay. Reports were received of "a significant amount of smoke” coming from one of the four units on Toolara Rd, at around 2.45pm. Fire crews from Tin Can Bay arrived on the scene just over ten minutes later and a third crew is also enroute. All occupants of the units have been evacuated and accounted for, but the cause of the smoke and status of the fire is still unknown. More on this story as it comes to hand.